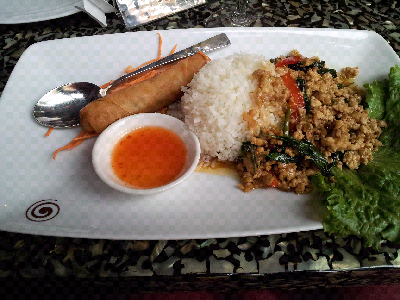 Lunch menu has a combo with a soup and spring roll. I had the Chicken Kapow Sub. Not sure what the sub stands for. It was very tasty and the right spices.